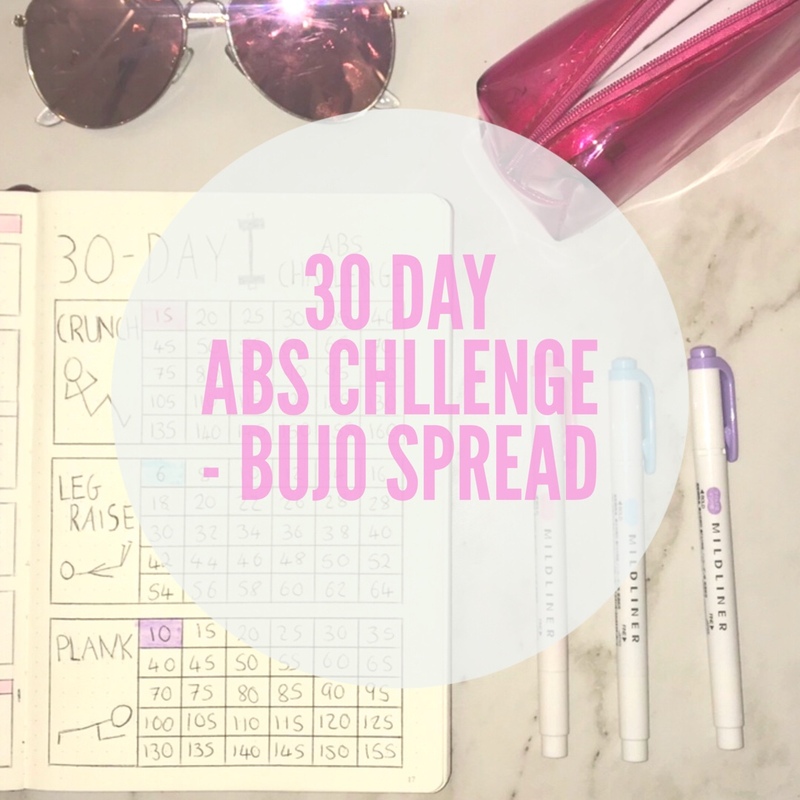 So this Tuesday blog post is a ‘30-Day abs challenge’ bullet journal spread. I got inspo for this off justbrightideas.com so go check it out on their website too! To start off i made 3 boxes each 10 squares deep and 24 squares wide. I then sectioned off the first big box 6 squares across. Next i made a line to the bottom of the box every 3 squares across. This made 6 columns. I then drew 4 lines going across the box each 2 squares apart which makes 30 little boxes which each represent a day. Leaving a line inbetween i repeated this sequence to make 2 more boxes. Next, i dedicated each box to an exercise and drew a little stick man for decoration. As this is focused on abs i decided to go for crunches, leg raises and the plank. I then filled in each of the little boxes with the amount of times i wish to do the exercise. For the crunches i started at 15 for day one and went up in 5s ultimately reaching 160 by the 30th day. For leg raises i started at 6 and went up in 2s reaching 64. And finally for the plank, i started at 10 seconds for the first day and for the final day reached 155 seconds. I am hoping to stick to this challenge as hopefully it will get me in better shape and help me tone up. Hopefully you can take some inspiration from this and be sure to tweet me (@livslittleblog) your bullet journal spreads! Great post this at home abs are cheap and effective. I personally like doing the bicycle abs a lot too, which of these is your favorite? OMG I’m loving that spread!